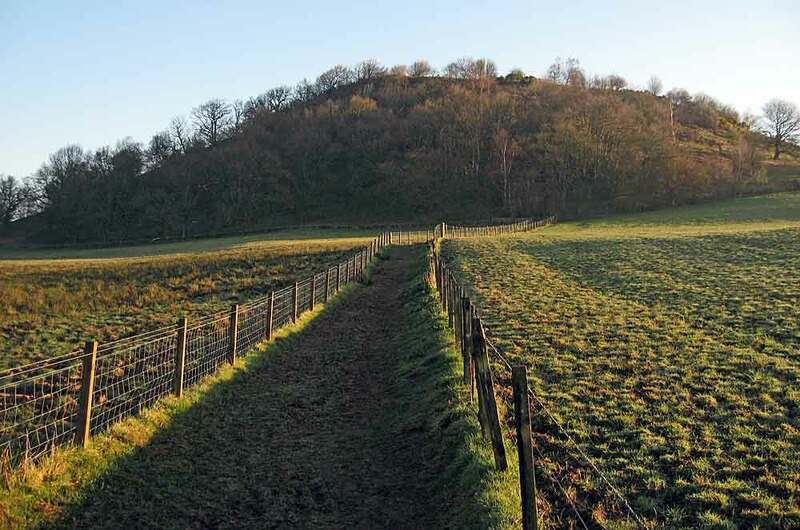 ​This wee hill, a heavily wooded volcanic plug, lies to the south of Loch Lomond between Balloch and Drymen beside the village of Gartocharn, and is known affectionately by locals as `The Dumpling`. 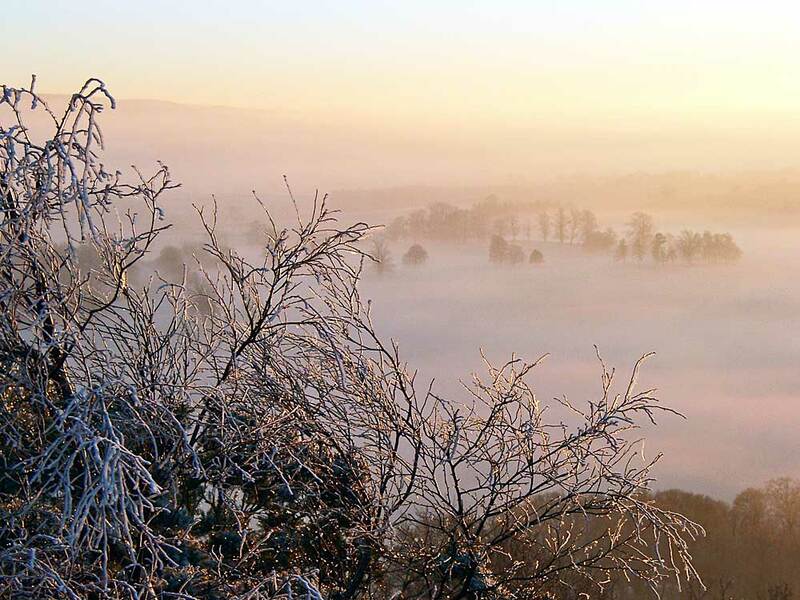 Although only reaching a height of 465 ft, this hill is one of the best viewpoints in the country, especially when you take into account how little effort is required to climb it. Duncryne Road runs southeast from the A811 in Gartocharn village and soon leads to the lay-by which marks the start of the most popular route to the top. There is very limited parking here, so unless you leave early or chose your day wisely, you may have to park in the village. 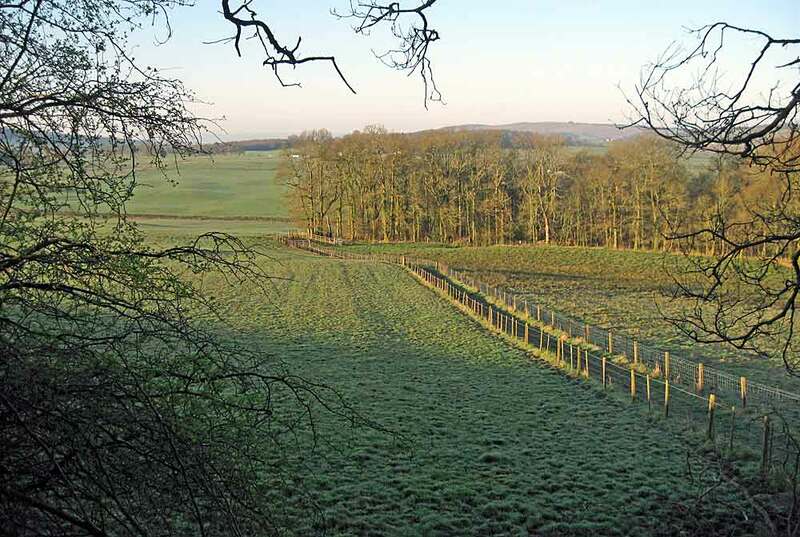 Another minor drawback is that the field crossed near the start is often saturated and can trigger comparisons with old photos of muddy World War One battlefields! This is one hillwalk where Wellies may justifiably be the optimum form of footwear. 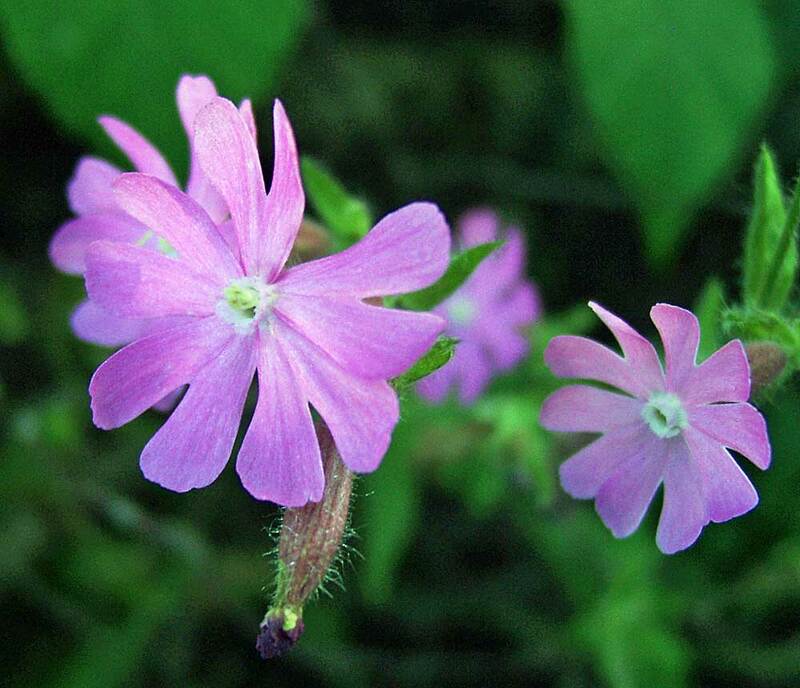 The surrounding woodland and fields are rich in bird life and it was well known that the climber, broadcaster and naturalist Tom Weir, who stayed in the village, climbed Duncryne on a daily basis, recording any unusual sightings and seasonal changes. In spring and early summer you can experience a superb dawn chorus and I`ve seen Roe Deer here several times. 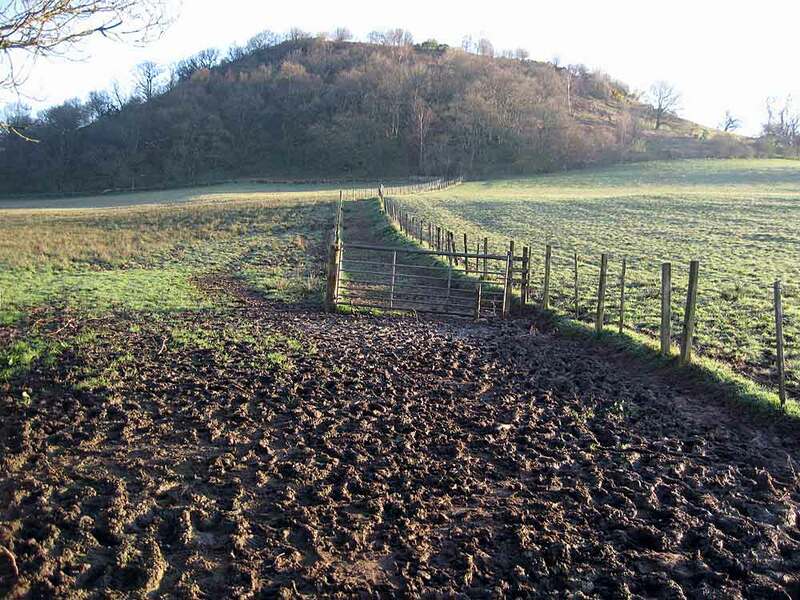 Once across the field, there`s a steep curving path, usually much dryer than the terrain already encountered, and trees gorse, and in summer high bracken screens the surrounding landscape until the magnificent panorama is revealed at the trig-point. 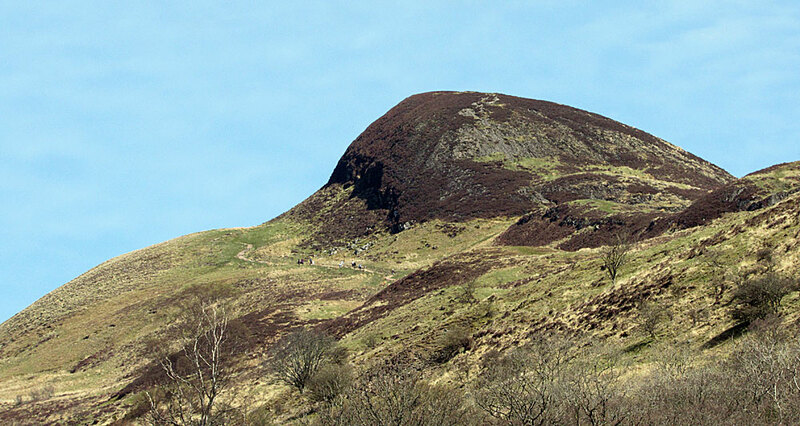 The Kilpatrick Hills to the south and the Campsies to the southeast have relatively uninteresting profiles compared with the rugged peaks to the north. 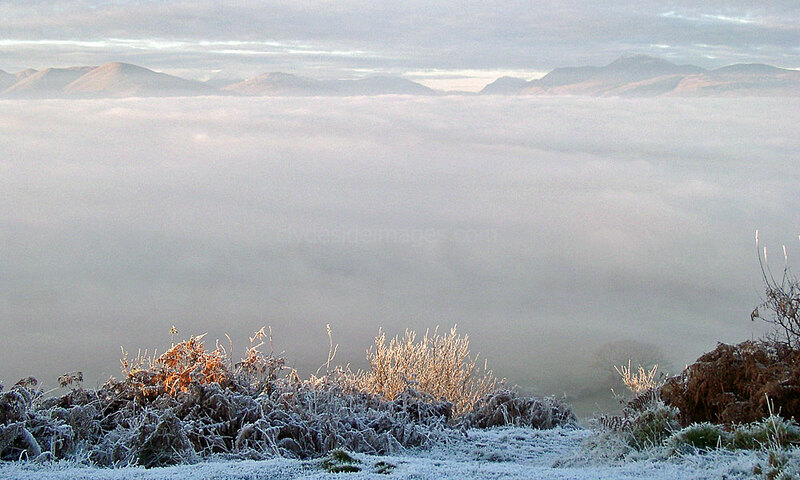 Above: On top of Duncryne Hill, late afternoon, waiting in vain for the fog to clear before sunset. 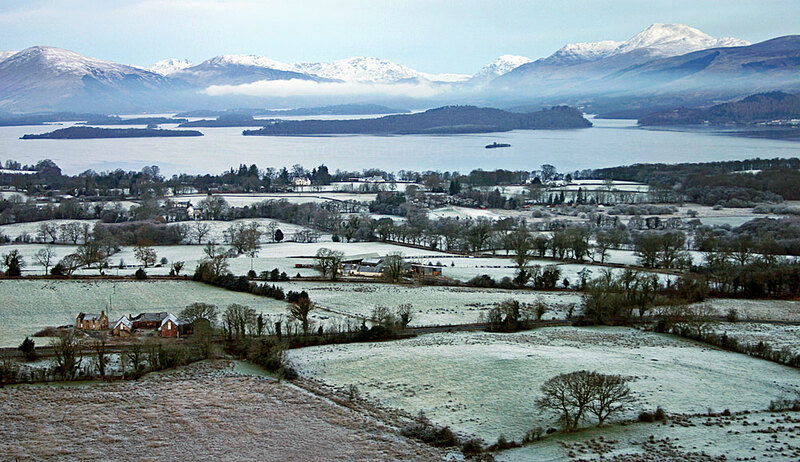 The Highland Boundary Fault, which marks the southernmost advance of glacier activity at the end of the last Ice Age, crosses the scene from left to right, marked by a line of wooded islands and Conic Hill, above Balmaha on the east side of the loch. 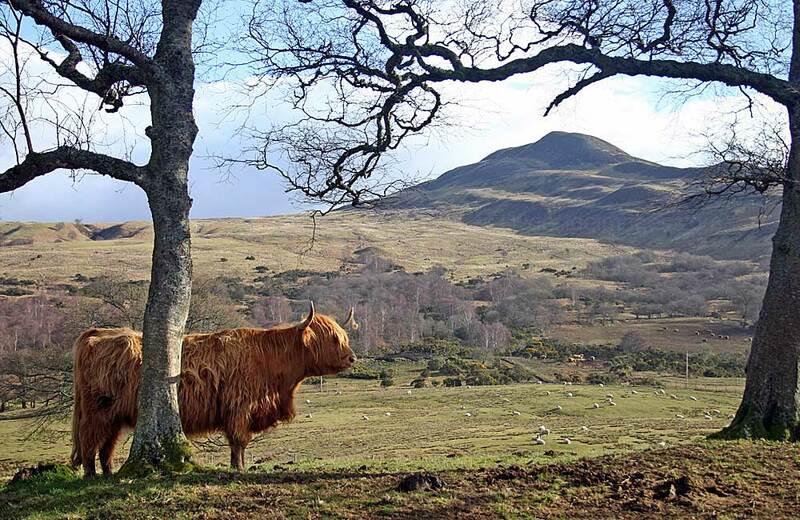 Further north, Ben Lomond, `Beacon Hill`, dominates the scene. 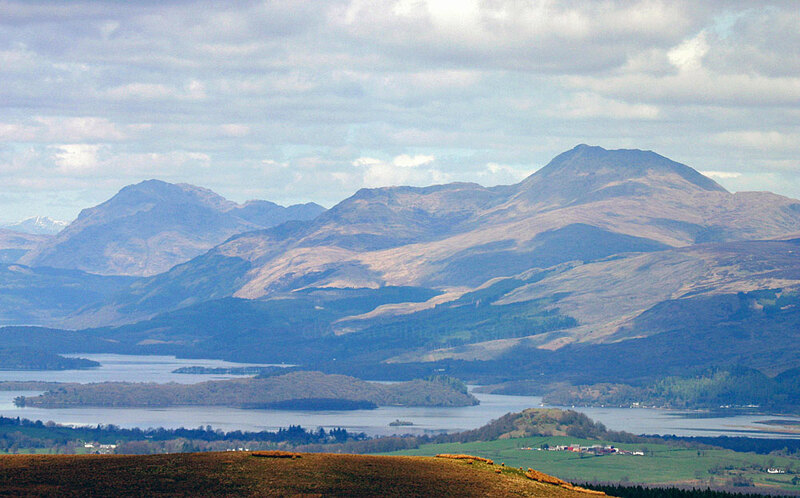 Over to the west, the rounded terrain of the Luss Hills contrast with the rocky summits of the peaks of the Arrochar Alps. 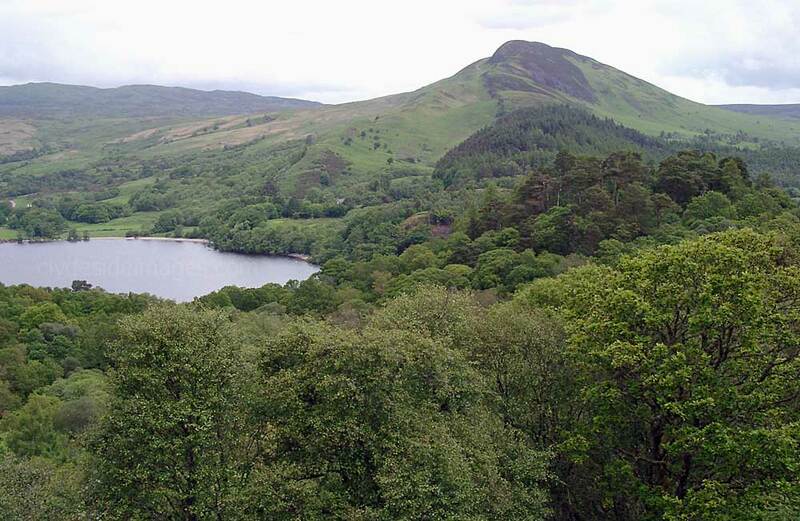 ​Fyn Loch with Loch Lomond`s hills and mountains beyond. Duncryne is the tiny, distant dark mound to the right of Ben Lomond. 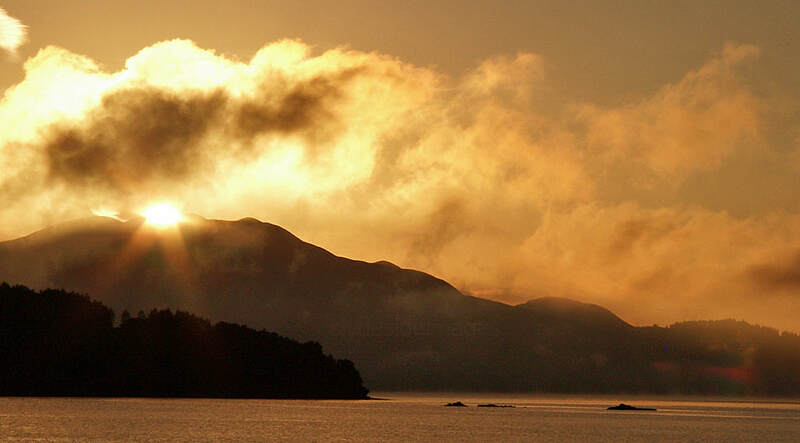 Conic Hill from the high point on Inchcailloch island. 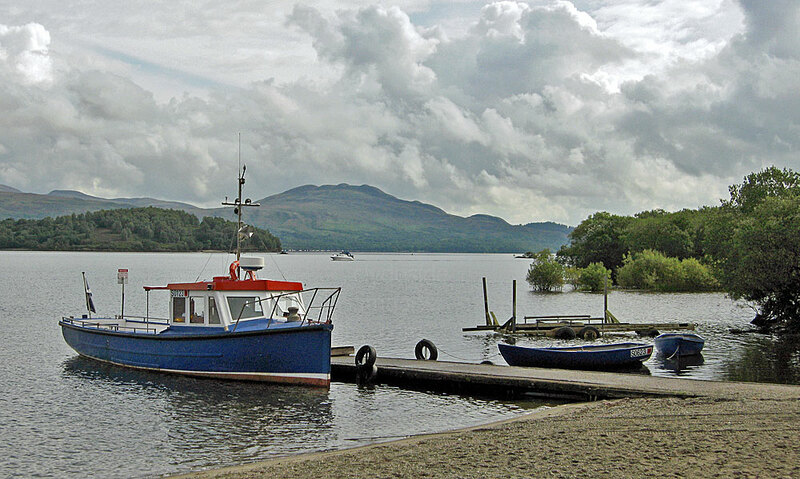 A distant view of Conic Hill from Luss. 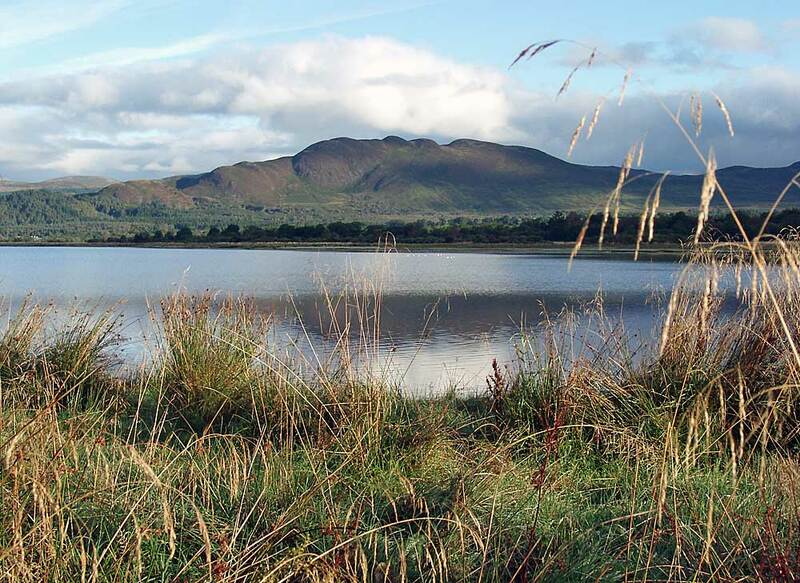 Above: Conic Hill from the River Endrick marshes on the loch`s southern shore.